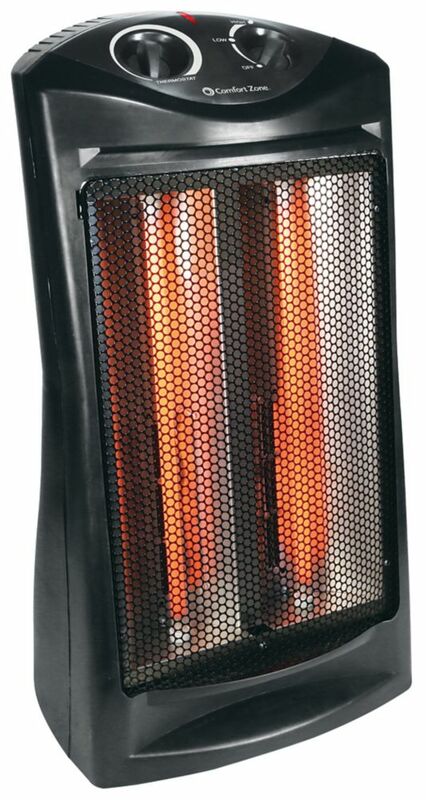 This Comfort Zone Heater is a reliable and convenient way to warm up a room when the weather gets cool outside. Includes a Safety overheat protection system and a Stay Cool molded handle and metal housing. Quartz Radiant Heater This Comfort Zone Heater is a reliable and convenient way to warm up a room when the weather gets cool outside. Includes a Safety overheat protection system and a Stay Cool molded handle and metal housing.